From simple in-the-field repairs at your location to complete tear downs in our Vineland-based facility, "D" Electric's technicians will have your blower back up and running in no time. Most importantly, our real-world experience, combined with advanced seminar training, allows us to diagnose and repair the most difficult of breakdowns imaginable. 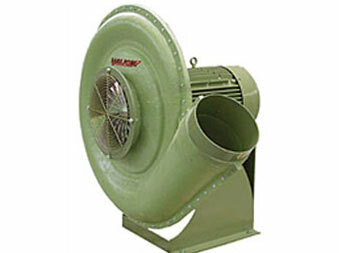 We have a vast expertise of blower repair with world renowned manufacturers such as Roots, Gast, Hauck, Rietchle, Spencer & many more. Our large warehouse is well stocked with both original manufacturer and after-market parts. Need a special order? No problem. With 40 years in business, our vast network will help us track down your part and have it in our hands as quickly as possible. We take pride in our work and perform many of the services you may need under one roof including disassembly, welding, rebalancing, rewinding, machining, cleaning, and sandblasting. Be assured, too, that your blower will be thoroughly inspected prior to leaving our establishment, providing you with peace of mind and our guarantee that your unit was properly repaired and will provide you with many more years of reliable service.